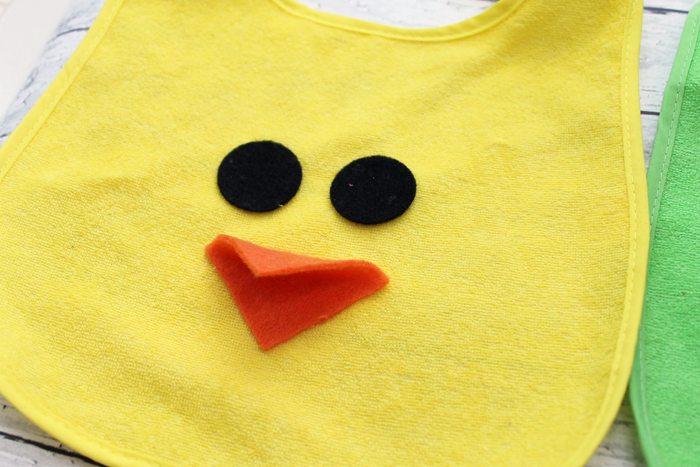 A handmade gift of animal bibs for baby is perfect for the holidays or even an upcoming baby shower. The best part is that they are super easy to make and really inexpensive. That is my kind of handmade gift y’all. 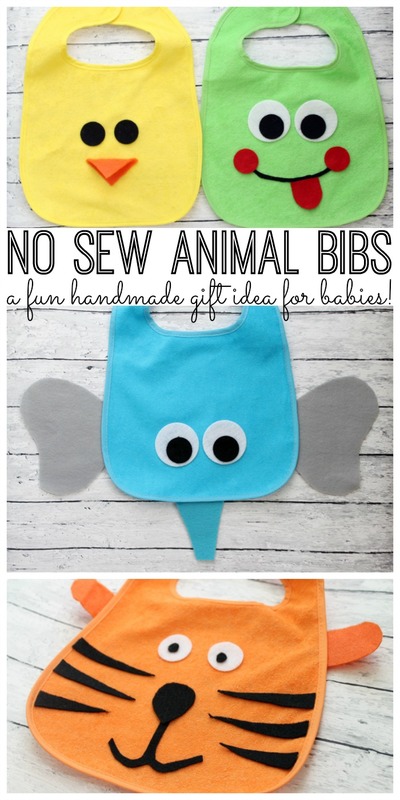 Follow along below to see how to make all four versions of these animal bibs for baby. Make one, two, or even all four for holiday gifts. The process is super simple! 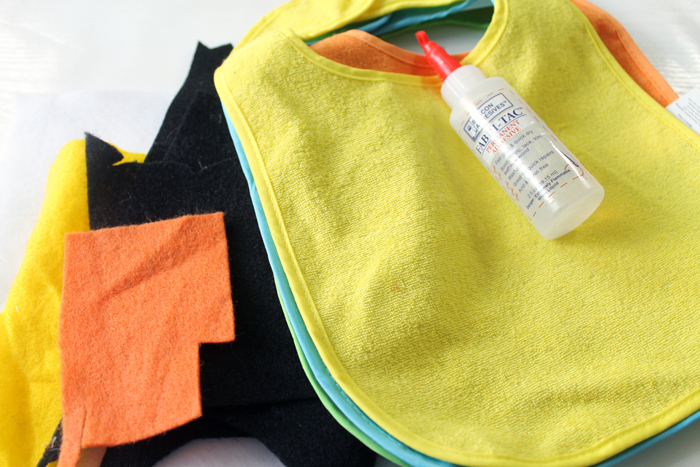 Just cut your shapes from felt and glue them onto the bibs. For instance, the duck is just two circles and a square. Just be sure there is a small opening when you glue on the square. 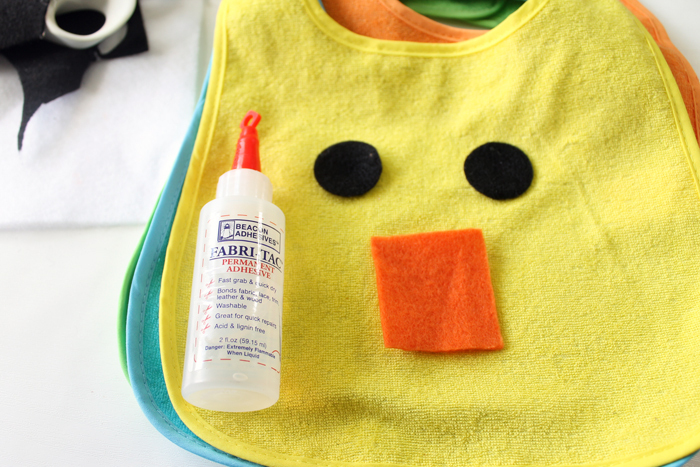 That is one bib done! Want to see a few more of them being made in a video? I have that for you as well! Watch the short video below. If you can’t watch the video or have questions, you can see the final bibs below as well. Breaking each one down into components makes them super easy! Two circles for the eyes of the frog. Two more for his cheeks. Then just free hand cut the mouth and tongue. Be sure to just glue the edge of the tongue and leave the rest to flap! 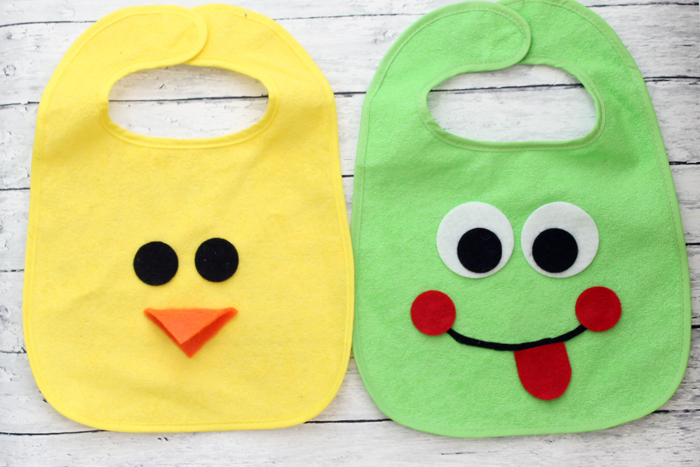 You have now completed two animal bibs for baby! So easy right? 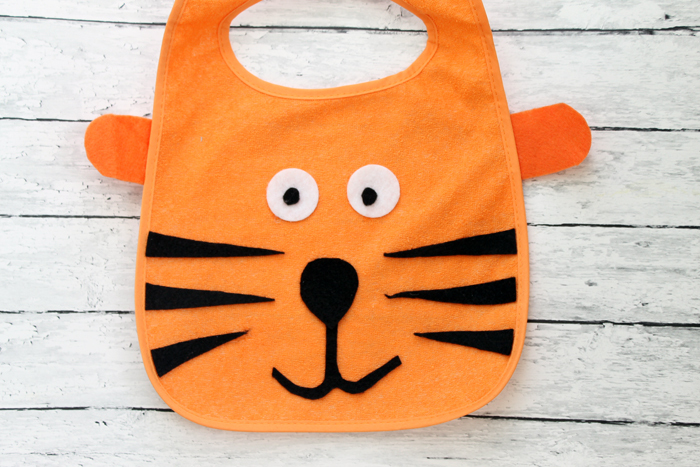 The other bib shown in the video is the tiger. Again I used two circles for the eyes. I just free hand cut the rest of the elements. Imperfect is perfect in this case! 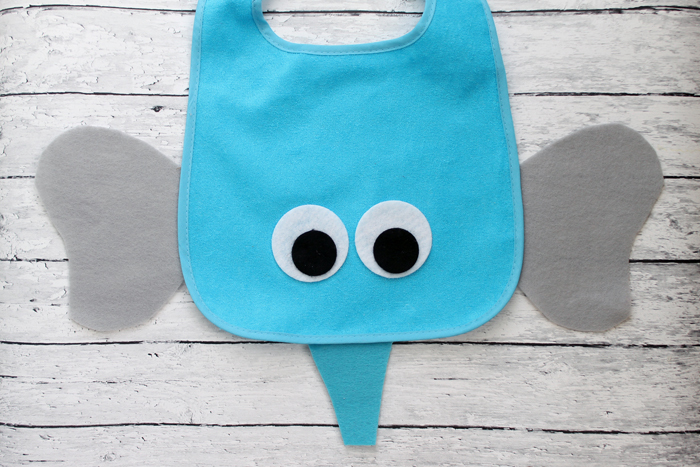 I love the ears on the side of the bib! Just glue down one edge to get this look. I just couldn’t stop there y’all! 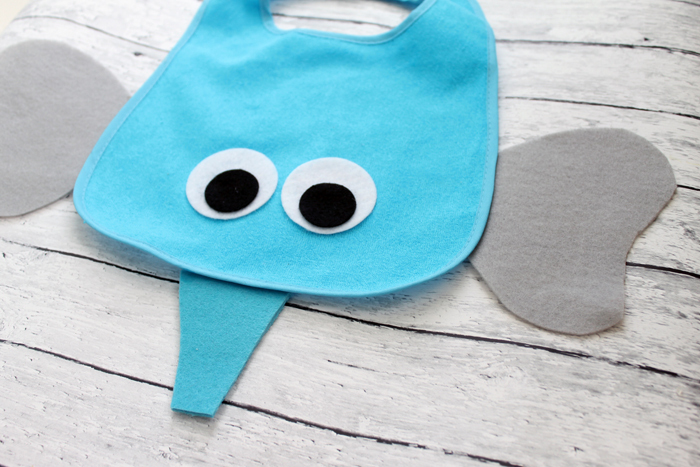 I had to create another animal bib! This time it was an elephant. Two circles for the eyes and then I let the trunk and ears hang off of this one. 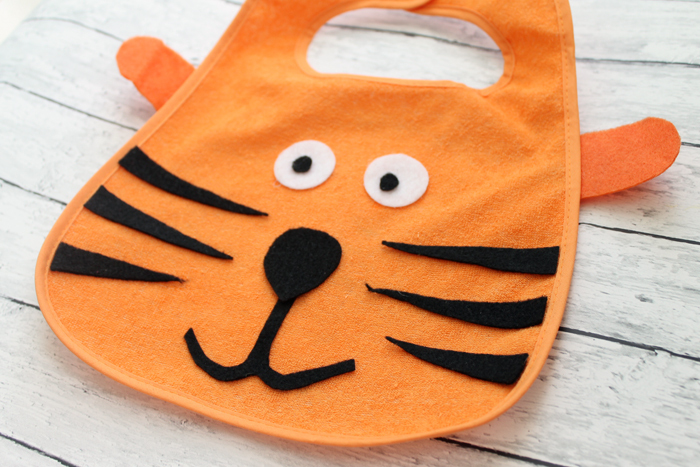 I love how all of these animal bibs for baby turned out! They make a fabulous handmade gift this holiday season for any baby or toddler on your gift giving list. Make all four of these in just minutes! Want more ideas? Get more handmade baby gift ideas here. You can also get more ideas for handmade gifts for kids of all ages here. 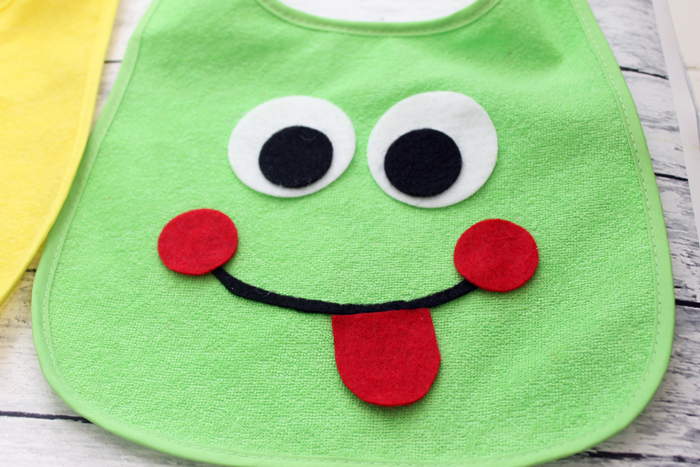 The bibs are adorable! Can you tell me, please…..how do you wash them? Does the felt hold up well after multiple washings? Thanks! It should hold up pretty well. Use the gentle cycle and cold water! Those are so cute, thank you for sharing. Pinning for future reference! What a sweet idea and great gift. Very cute gift idea. I have several friends expecting and these would be great shower gifts. Thank you for sharing at Merry Monday! So darling. I can imagine a supply of these in the buffet for all the little ones at the Holiday table. So cute! I need to get busy!